Daohong Zhou, M.D., recently was co-author of study published in Cancer Discovery. Jan. 17, 2017 | Jan. 17, 2017 | Chemotherapy for cancer causes a pro-inflammatory stress response that promotes adverse side effects and cancer relapse, says a research team that includes the University of Arkansas for Medical Sciences (UAMS). Daohong Zhou, M.D., associate director for basic research in the UAMS Winthrop P. Rockefeller Cancer Institute, is a co-author of the study published Dec. 22 in Cancer Discovery. While chemotherapy is often a life-saving treatment for some cancer patients, it affects both healthy cells and malignant cells throughout the body, often causing debilitating side effects, including fatigue. The study shows that chemotherapy induces cellular senescence — or cellular aging — in normal tissues, which triggers a pro-inflammatory stress response and promotes the adverse effects of chemotherapy as well as fatigue and cancer relapse and metastasis. Eliminating the senescent cells in mice prevented the side effects and cancer relapse and metastasis. Judith Campisi, Ph.D., of the Buck Institute for Research on Aging, was the senior scientist on the study, which highlights the dual nature of cellular senescence — it permanently stops stressed cells from dividing, but also contributes to aging and late-life cancers. The research was led by Marco Demaria, Ph.D., a former postdoctoral scientist in the Campisi lab. The research utilized transgenic mice that permit tracking and eliminating senescent cells. Results showed that eliminating chemotherapy-induced senescent cells reduced several short-and long-term effects of treatment, including bone marrow suppression, toxicity to the heart, cancer recurrence and metastasis. Common chemotherapy drugs Doxorubicin, Paclitaxel, Temozolomide and Cisplatin were used to treat the mice. Demaria, who is now a principle investigator at the European Institute for the Biology of Aging at the University of Groningen in the Netherlands, said some of the most striking results involved running speed – an indicator of fatigue in mice. In addition, Sharpless looked at blood markers of cellular senescence in 89 women with breast cancer before they underwent chemotherapy aimed at curing their disease. Women who went into chemotherapy with the most senescent cells experienced the most debilitating fatigue after treatment, he said. 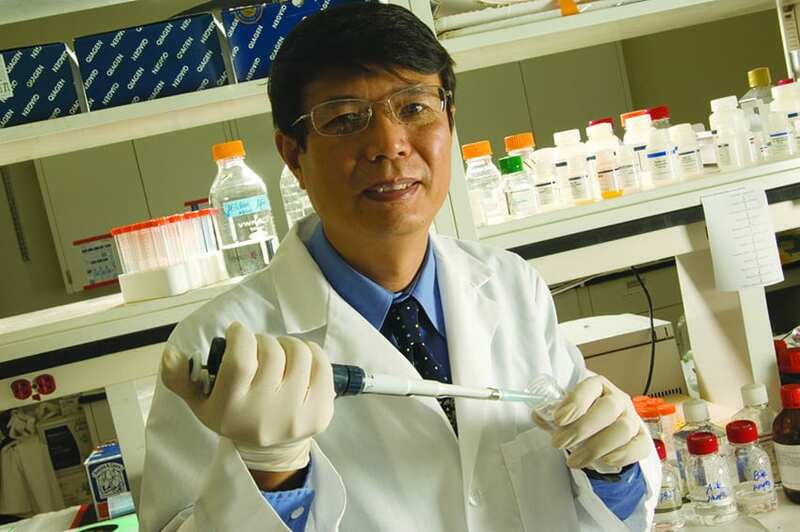 Other co-authors from Zhou’s lab at UAMS include Mr. Jianhui Chang and Dr. Lijian Shao. Campisi and Zhou are co-founders of Unity Biotechnology, which is developing drugs to eliminate senescent cells. Sharpless and Demaria have equity in the company. Sharpless is a founder and has a financial interest in HealthSpan Diagnostics. Mitin is an employee of HealthSpan Diagnostics. All other authors declare no financial interests.